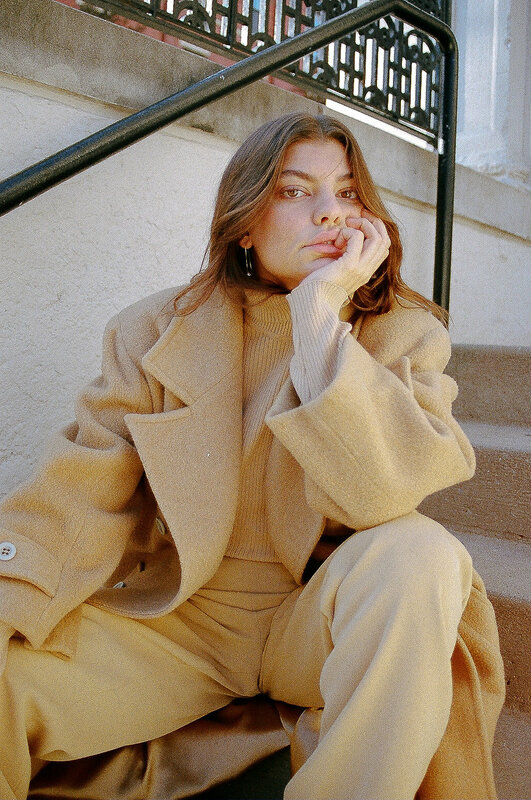 Shot by Hannah, Styled by Quinton, Beauty by Michaela, Interview by Kira. 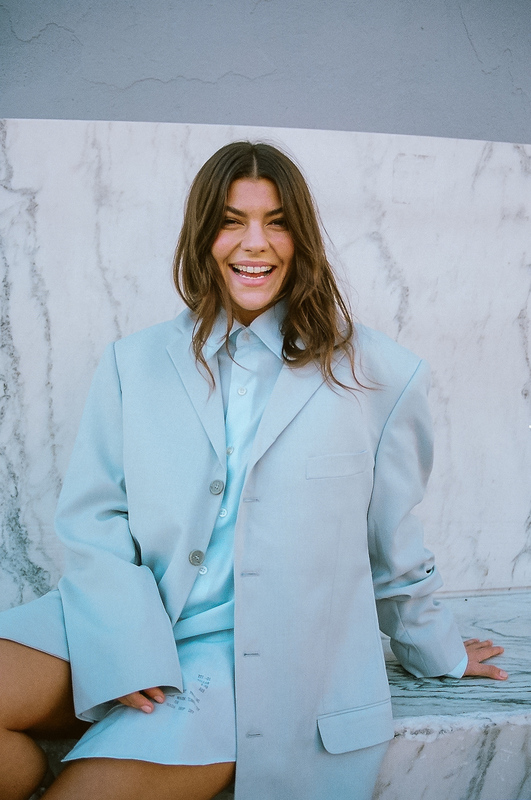 With the release of your debut album This Time, single Keep Lying topping the Spotify Viral Chart and recent tours with King Princess and Bishop Briggs—it seems you’ve had a hell of a year. How are you feeling about all your recent accomplishments? I feel like I always want more, while trying to still acknowledge how far I’ve come. I’m always thinking about what’s next, though. I’ve noticed my creativity is kind of like this well inside me, and I try to draw water every day. Sometimes the well is totally overflowing and other times I have to kind of dig for it. I never know what to expect from my creativity day to day and that can be exciting. If you could describe the work you make in three words what would they be? Seeing and feeling it all come together. When the sounds and the visuals and the experience all come through the vision and it clicks. I’m sober and breaking a sweat on the dance floor. 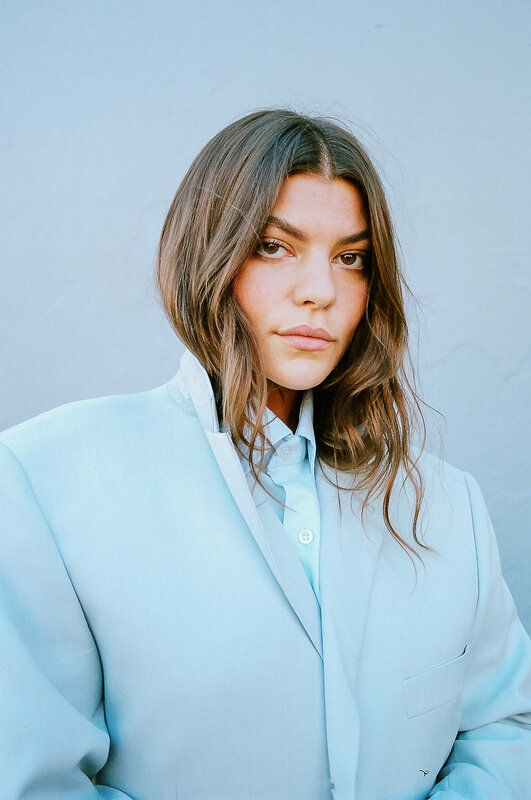 Fashion and style always seem to go hand in hand with the music industry, how does fashion influence your work and vice versa? I have always, always been passionate about expressing myself visually with fashion since I was a little kid. I’m from a big family of six kids raised on a teachers salary in New Jersey, and our resources were stretched really thin, so I have been thrifting since I can remember. It’s had a huge influence on how I utilize fashion in my work as an artist. One of my favorite things to do when touring is thrifting in the city we are playing in that night and finding something to wear at a local spot. It’s kind of part of my pre-show ritual at this point. My style centers around a few key elements, like comfort, sustainability, and brand neutrality. Otherwise, it’s all over the place. I love expressing myself as super feminine one day and the next I’m in all menswear. It’s really important to me personally that i’m being honest about how I’m feeling that day and express that through what I wear. Everyone has a different idea of success—what does it mean to you? Success to me is allowing myself to grow within my passions, and seeing and feeling that growth. Allowing myself to discover new elements of my career and creativity that inspire me and motivate me, and be in a position to pursue them. To create opportunity for those around me that I love and believe in. What do you hope your audience will take away from listening to This Time? I hope that it can be a soundtrack to your evolution, and that you can catch the parallels between yourself and the stories told in the songs. The album is about figuring out who you are, what you believe in, and projecting that inward to find self-understanding and acceptance. I hope that comes across. I have been told by those around me, who I trust completely, to be patient. It sounds too simple but try being patient with yourself and your life then you’ll discover how difficult it is. To be patient with myself and my process has been crucial to sustained mental health and happiness for me. These days I think we all have a somewhat twisted relationship to social media. Often a blessing and a curse, what has surprised you most about your growing fan base? It has been surprising to see that when you have some influence, and you create a call to action, people respond and get involved. I hope to see social media continue to be used for the coming together of people to address the social issues we believe in. It’s amazing to see things happening online that then materialize into things happening irl. What has been your biggest career struggle so far and how did you help yourself get through it? I think any woman in any industry has been held back by tired systematic practices and I firmly believe if I were a man I would be further in my career by now and making more money. I have been wearing the same sweatshirt for 10 days straight #tour. 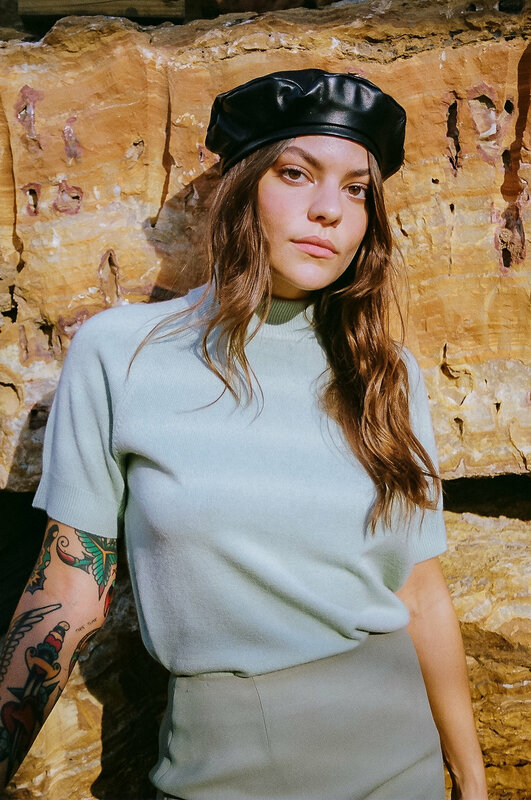 Donna wears the Vegan Leather Glazed Beret and The Break vintage. SHOP DONNA’S COLLECTION.